Megaupload streaming service mogul Kim Dotcom has just been slapped with a civil penalty from the US government. The lawsuit will cost him $67 million worth of assets, including cars, property and luxury goods. The victory by the US court comes as he lost the right to contest the seizure of the assets. 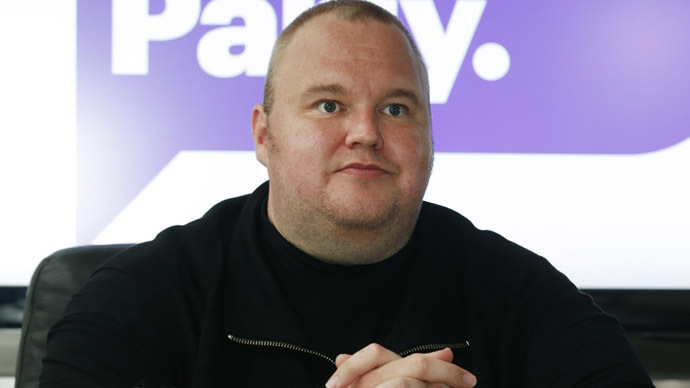 Dotcom, who is wanted in the United States for copyright infringement through the former file-sharing website, told the Herald on Sunday that this is indicative of the “sad state” of the US justice system. "By labeling me a fugitive, the US court has allowed the US government to legally steal all of my assets without any trial, without any due process, without any test of the merits,” he said, vowing to appeal the decision, which his legal team says would likely not hold up in New Zealand or Hong Kong courts. “The asset forfeiture was a default judgment. I was disentitled to defend myself,” the internet guru went on. "First the US judge ruled that I can't mount any defense in the asset forfeiture case because according to him I'm a 'fugitive'… Think about that for a moment. I have always said that I'm innocent. There was no conspiracy. I have done nothing wrong." He also claims the US government had to act in this way to spare the New Zealand authorities from having to return all of his assets in mid-April, when he claims he will have gone to the Appeals Court and won them back. "They would have had to return everything. Imagine all of the New Zealand media at the mansion when the police has to return everything, all my cars, my TVs, my servers and me directing them where to put my stuff." The 40-year-old’s legal perils started in January 2012, when a police raid on his home in Coatesville, near Auckland, led to the shutdown of his file-sharing service Megaupload. An FBI-led investigation led to charges laid against him and his partners. But Dotcom’s not out of the woods yet. Other defendants and former colleagues in the Megaupload case will be facing an extradition hearing in June. Dotcom had earlier asked for it to be postponed, but the request was denied. Last month, a computer programmer and former colleague of Dotcom’s, Andrus Nomm, pleaded guilty to charges of internet piracy and struck a deal with US police, under which he agreed to testify against his former colleagues in exchange for reduced jail time.